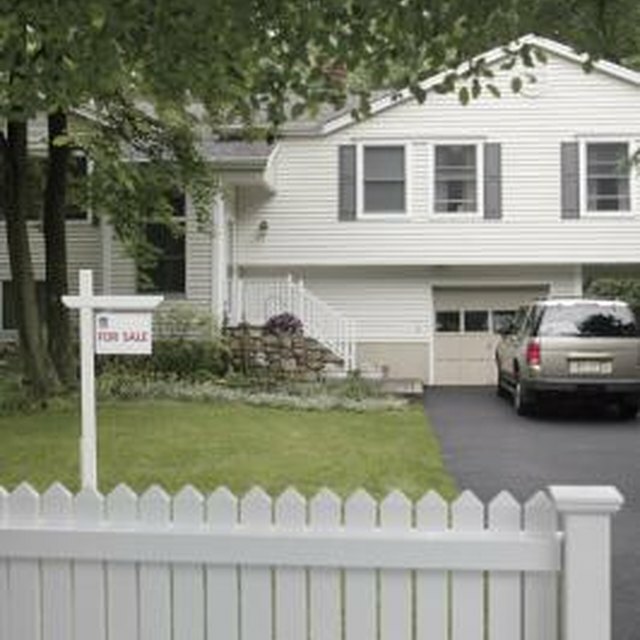 If your fence is starting to show wear and tear, it is time for a new paint job. It's best to not put off painting because your fence will continue to deteriorate, which means even more work for you to do later. If you haven't put up your fence yet, consider painting the boards beforehand. If your fence is starting to show wear and tear, it is time for a new paint job. It's best to not put off painting because your fence will continue to deteriorate, which means even more work for you to do later. If you haven't put up your fence yet, consider painting the boards beforehand. It is much easier to paint them when they are flat and movable. Cut away vines that may be growing up your fence and trim back bushes so the branches do not come in contact with the wet paint. You may want to cut off the entire back side from your bushes so you can reach the fence easily. Mow the grass by the fence and use a weed eater to get the grass as low as possible right next to the fence. Rake away grass clippings and leaves so you will be able to paint your fence right down to the ground without getting your brush covered in debris. Prepping the fence is the most time consuming part of painting and it must be done thoroughly or your paint job will look sloppy. Wash your fence with soapy water and a scrub brush. Examine each board and scrape away all of the old peeling paint. Use a paint scraper or a pressure washer to blast the paint away. After the old paint is removed, use a sander to even out any raised paint edges. Apply a coat of primer before you paint. If you do this, your new paint will glide on evenly. If you don't prep your fence first, the new paint may not stick very well and it could look bumpy or show peeling paint underneath. Use a brush to paint cracks and grooves first then paint large flat areas with a roller or paint sprayer. Choose a paint that is designated for exterior use and has UV inhibitors so your paint job will last a long time. Cover hinges and other hardware with tape so they don't get stained. Cover the ground and nearby shrubs with a drop cloth so you don't get paint on your flowers or sidewalk. Paint in sections. Fully complete one area of your fence before moving to the next. Paint your fence during the best weather conditions. Try to pick a day when rain or freezing temperatures are not expected for 48 hours. If possible, paint your fence while it is in the shade rather than direct sunlight so the paint does not dry too quickly. Why Is My Kitchenaid Artisan Mixer Dripping Oil From the Beater Stem?